Now it's the sun's turn! 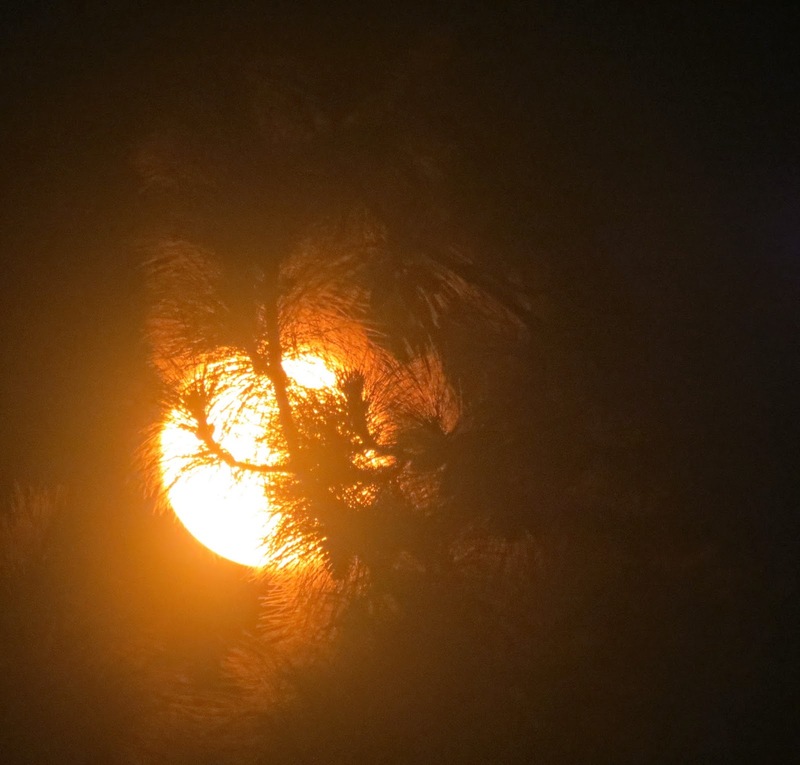 These are my photos of the North American partial solar eclipse on October 23, 2014. 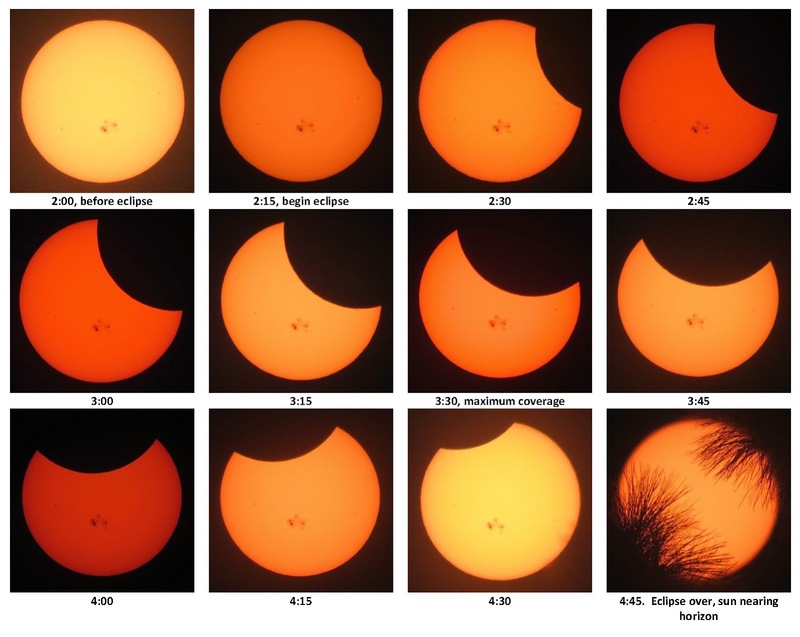 A partial solar eclipse is the only kind of eclipse that can not be seen with the naked eye. The moon blocks the sun partially, but there is still plenty of unimpeded sunlight and the sky doesn't even dim noticeably. You'd never know anything unusual was going on unless you looked at the sun through a filter. Much like this year's earlier lunar eclipse, I took pictures every 15 minutes to show the gradual changes. Solar eclipses progress from right to left due to the motion of the moon around the Earth, motion that is only perceptible during eclipses. The orange coloration is due to the filtered lens. Due to differences in camera settings, some shots appear more yellow than others, and some more red. Times listed are in Pacific Time. Maximum coverage occurred at 3:30, when the moon covered about half of the sun's diameter and 1/3 of its area. It was a lucky place and time for me. My apartment faces south, so I had a clear view of the entire eclipse from my balcony. I had no appointments that day. 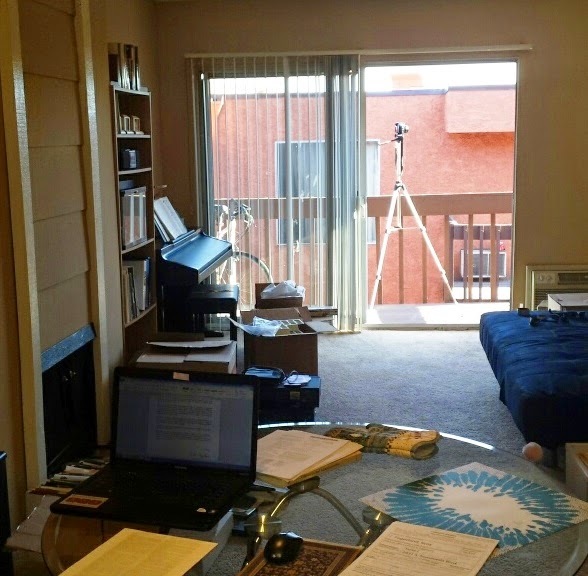 I was able to go home, set up the camera outside, and get a little work done in the meantime. 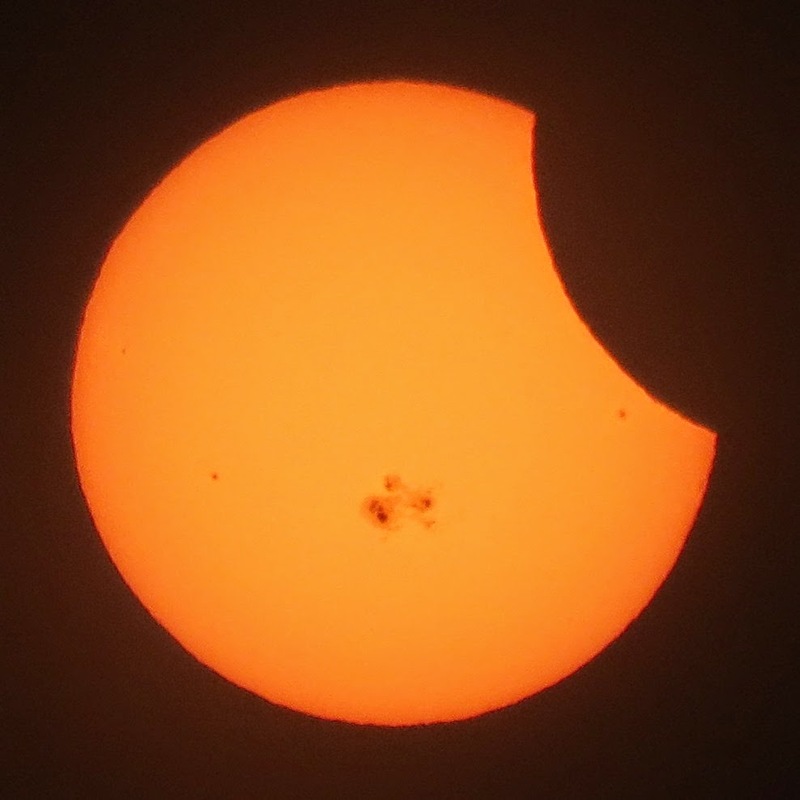 By sheer luck, on this day the sun was also displaying an unusually large set of sunspots. This is good for spectators. Without sunspots, the sun has no features visible to ordinary cameras. Keeping in mind that the sun is about 900,000 miles across (100 times wider than Earth) you can get a sense of that sunspot system in the center. Here is a closer view, with the large system prominent in the center. A few smaller spots are visible too. Here are a few pictures in different styles to close things out. 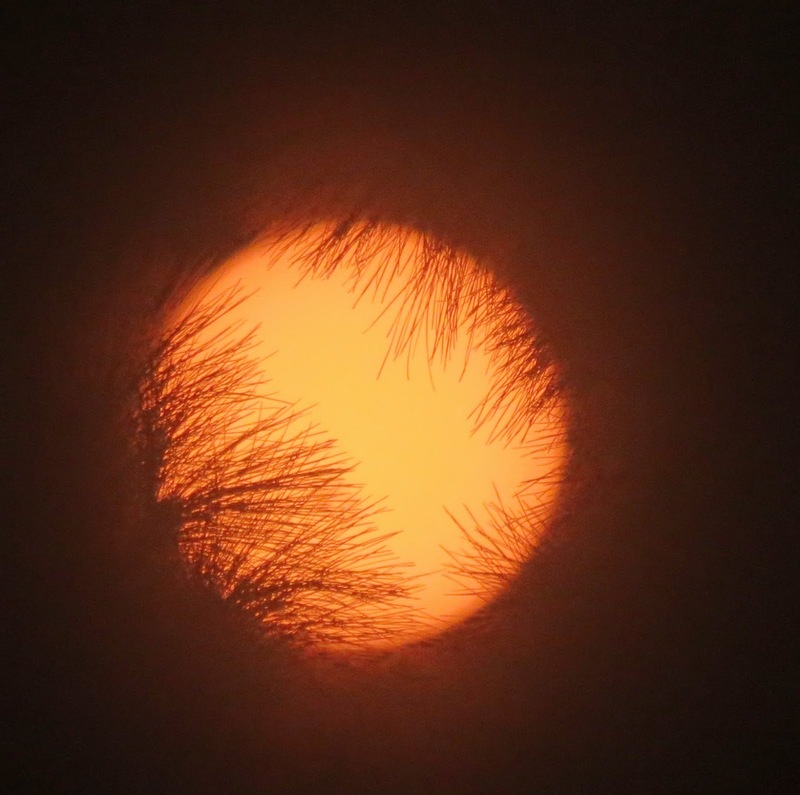 The sun set behind a tree, which made for some interesting shots of its own.